A string of high profile ivory busts over the past month has unexpectedly focused attention on Da Nang as a new entry point for the illegal ivory trade in Viet Nam. 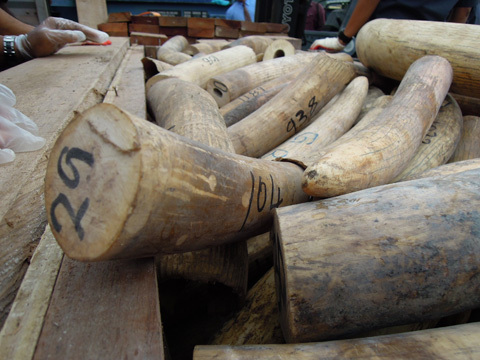 Three successive seizures at the Tien Sa port in Da Nang – with two weighing 500 kg or more – stand in sharp contrast to previous ivory seizures that have taken place in either Hai Phong port or Mong Cai province, further to the north. Records in the Elephant Trade Information System (ETIS) show that from 2009 to 2014, 80% of the large-scale ivory seizures occurred at Hai Phong, with the remainder taking place in Ho Chi Minh City and Mong Cai. However, on 13th August, customs at Da Nang port seized a shipment of almost 600 kg of elephant ivory and 142 kg of rhino horns, which were declared by a local company to be marble and imported from Mozambique. This was followed by a seizure on 21st August of over two tonnes of ivory inside a container full of timber from Nigeria - destined for the same recipient as the previous haul of ivory and rhino horn. 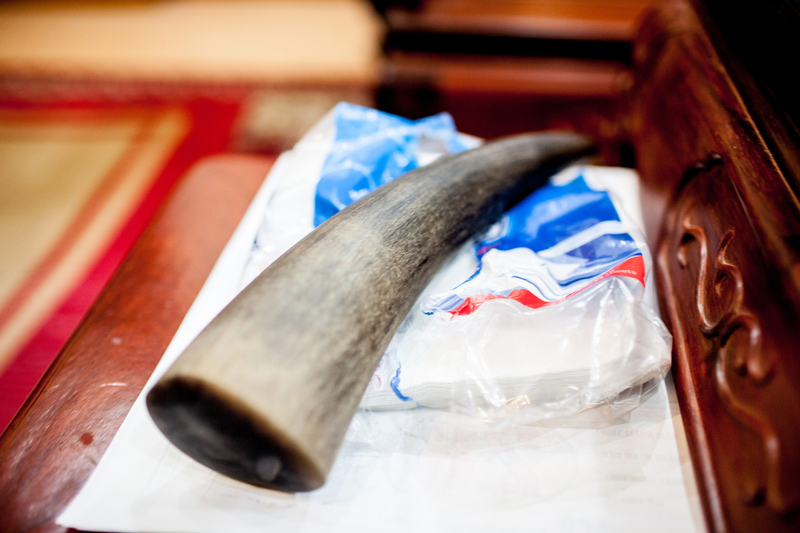 And then on 25th August, customs in Da Nang seized another 1023 kg of tusks and over four tonnes of pangolin scales, which had reportedly arrived from Malaysia - the third ivory bust in the city in two weeks. The tusks were hidden among sacks of beans in a shipment weighing nearly 20 metric tonnes. The confiscation of these large amounts of ivory, pangolin scales and rhino horn by the authorities shows the vigilance of Viet Nam Customs. However, it is worrying as it points to Da Nang as a new port of entry for the illegal wildlife trade in Viet Nam. “Although some ivory processing does take place in Viet Nam and may actually be increasing, the evidence suggests that most of the raw ivory imported into Viet Nam is re-exported to China using land routes over the terrestrial border in the far north. Thus, trafficking through Da Nang represents increased transport costs as it is much further away from the Chinese border than the port of Hai Phong, where most seizures of transit trade in the past occurred,” said Tom Milliken, TRAFFIC Elephant and Rhino Programme Leader. It is unclear how long traffickers have been using this port to move goods, but the vigilance shown by the Viet Nam Customs must continue. TRAFFIC hopes investigations into local companies will yield the information required to cripple smuggling syndicates and urges a multi-agency, as well as international approach in dealing with this organized wildlife crime.